Chewed through 4 plastic hummer feeders suctioned to the windows. This hanging glass/metal feeder was an even easier challenge. He is so cute! (Even though they are incredibly annoying! Great capture of this little guy! anne! what a lovely surprise. so nice to see you again. Cute capture............nice to see you back! Fabulous shot. An acrobat at work. Fav. Great capture. These creatures can do amazing moves without falling. This had me giggling aloud! Love it. That's some stretch he's doing. great shot of this cutie! Super shot. 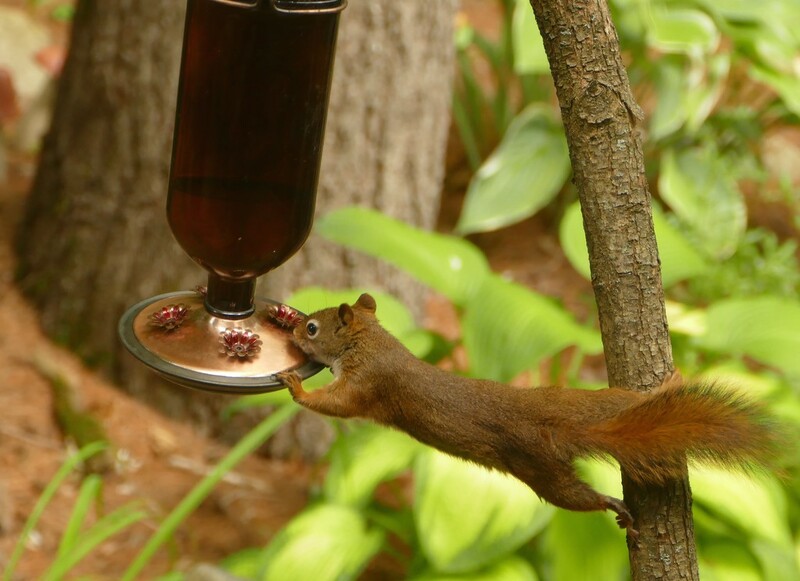 I know my squirrels like the hummer feeders too. I have put the feeders on separate hangers not near anything they can climb up on. merry Christmas, anne, and all the best to you and your family for 2019!